All advertisers, please download art specs HERE. 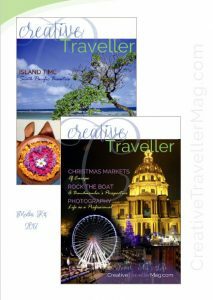 Creative Traveller is a global quarterly with an Australian focus featuring travel, art and the curious nature of life, with a little technology thrown in for good measure. If you would love to see your ad in our next issue please contact our editorial team by email to make a booking or or further enquiries.